Russia is a huge country not only geographically. In addition, it is a new large market for your business. Aссording to the 1st of January 2018, there are about 147 million people in Russia. Only in capital-Moscow are registered 12,5 million of people (according to Rosstat's official information). According to data from February 2018 of Mediascope Research Company, 90 million of people or 73% of Russian population use the internet at least once per month. 59% of them-from mobile devices (tablets and phones). 52% of users spend time for social networks every day. 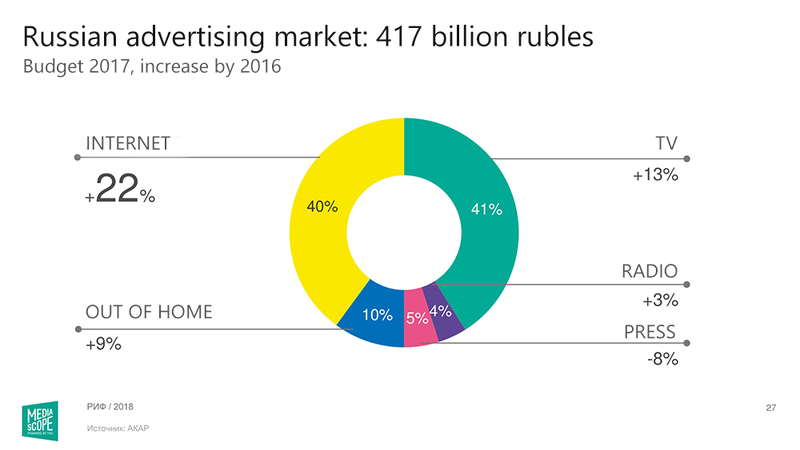 In line with Association of Communication Agencies in Russia (AKAR), in the first half of 2018 size of Russian advertising market was 218 billion rubles. 42% of them or 91 billion rubles occurred in internet ads. As you see, this is a huge growing market and market-entry can bring your company new clients and revenue growth. Is digital marketing in Russia, EU and USA the same? Yes and no in the same time. From one side, Russia is close to Western culture. Nevertheless, from the other, there are many popular local web resources here. Surely, you already heard about Russian Google that is called Yandex and social network VK, which is like Facebook, but "same but different". Despite the fact that country territory is enormous, income and consumer demand distribution are uneven. Almost all economic activity concentrates in Moscow and in to a lesser extent in Saint Petersburg. There are other million-person cities, but ads campaign for Moscow can generate higher profit than campaign on all other Russia's territory. To assess how popular are local services in Russia let's look at Mediascope research one more time. In February 2018 the most popular web-resource in Russia became Yandex with 23,7 million users. The second one was VK and Google got only third place with 19,9 million users. In the country fairly low level of English, therefore all marketing materials and activities necessary perform in Russian. Even Google does not know Russian enough well, when we talk about semantic core, as a Russian Yandex does. It is important to consider this fact when you work with SEO or PPC advertising in Russia and leave this work to a native speaker. 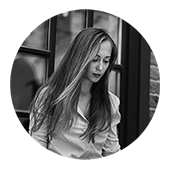 I'm Gala Ivannikova, professional digital marketing manager with master degree in the field. I have been working in marketing since 2008 and only in digital marketing since 2014. I provide digital marketing services on Russia and CIS market for b2b and service sector. With my team, we can help you with translation and adaptation your marketing materials to Russian, SEO optimization in Russia, contextual and targeting advertising, content marketing. Creation and clustering semantic core, good quality translation of your site, internal optimisation of website. Counters registration and installation to the website, goals set up, remarketing audience set up, help with call-tracking system integration. General strategy development, content monthly planning, regular posts to Facebook, Instagram, VK account. SEO blog for your website, social media account management, translation for video for YouTube channel including subtitles, voice and other text inside the video. I propose you to send this contact form and next talk about your business: what do you have now and which results do you want. And I will tell you what can I do for reach your goal.